Those of us who watch athletic competitions such as the Olympics witness some athletes who triumph and others who choke under the stress of performing. What differentiates those two groups? I’ve probed that question for decades from my perspective as a musician and educator. Through my research and experience, I’ve come to appreciate that, for athletes and musicians alike, the primary distinction between those who excel under pressure and those who crack lies in how they prepare to perform. Pianist 1 performs a solo and feels his heart rate accelerate and his hands start to quiver. Unnerved by the odd sensations, he fumbles a couple of passages; then, in an attempt to reclaim the relaxed groove he prizes, he imagines that he’s playing on a tropical beach, but that only distracts him further, provoking several memory slips. He exits the stage bewildered because he played flawlessly in the practice room. Pianist 2 plays a comparable piece and experiences similar adrenaline-fueled jitters. In response, she breathes deeply, releases her shoulders, and focuses on expressing each phrase. 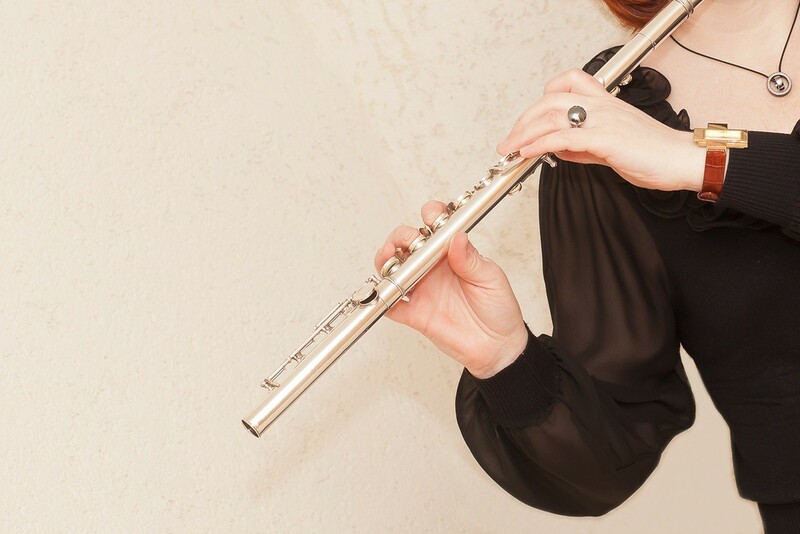 Her hands remain cool, but her execution is secure and she projects the joy in the music. As the closing chord sounds, her audience erupts in applause. Pianist 1 underperformed because, in practice, he would play his piece over and over until it “just came out.” Problem is, such automated learning requires automated recall, which readily breaks down under stress. As his hands became unsteady, he groped for control but there weren’t any guideposts for his mind to latch onto because he ingrained his piece mindlessly. Pianist 2 encountered parallel sensations but directed herself in tactical ways. Furthermore, when she practiced her piece, she absorbed its structure in detail, allowing her to track her place in the musical landscape. Her memory and performance skills were assured, so she could devote herself to making art. What distinguishes mindful performers, like Pianist 2, is that they operate from a place of awareness and never run on autopilot. That’s not to say that they over-think. Instead, they rely on what psychologist Ellen Langer terms “soft vigilance” (The Power of Mindful Learning, p. 43-44). In practice, they take in their material from multiple perspectives, and then they do mock performances, applying maneuvers that boost creativity and quell nervousness. On stage, their mindful habits enable them to trust in their preparation, provided that their preparation is truly thorough. Person: Mindful performers learn to regulate their emotions; they monitor their inner states and rally themselves into practice or performance mode. Task: They attain the inclusive skills needed to execute securely in high-stakes conditions. On good days, they perform easily but maintain filaments of awareness connecting everything they do. On tougher days, they exert more effort, expanding those filaments into high-bandwidth channels to bring things under control. Situation: They rehearse dealing with diverse performance settings so that they can focus regardless of the circumstances. I don’t mean to oversimplify – deep-seated personal issues can impede performers in insidious ways. But when it comes to high-stakes performance, mindfulness is indispensable. In Langer’s words, “Learning the basics in a rote, unthinking manner almost ensures mediocrity” (The Power of Mindful Learning, p. 14). Mindless swimmers pull “with all their might,” but Vollmer, a mindful athlete, feels herself flow through the water. She notices; she responds – two key aspects of mindfulness. Vollmer epitomizes the fascination with craft that motivates athletes and musicians to work. And when they work mindfully, regardless of whether they win medals, performers go forward knowing that they’re doing their best. 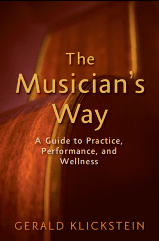 See Part II of The Musician’s Way for techniques that empower us to excel in all sorts of performance situations. This is a great article! I’ve been trying to practice breathing, visualization and mindfulness in order to help my shows. There’d still be times I stumble but yesterday I was able to find my way through. I still feel like Im a bit more pianist 1 but Im trying to work through it ! Hi Rocky. Thanks for reading and sharing your experiences. Whatever our level of experience, we’re all growing, so the key thing is to persist, as you are, and keep on making the best music we can.